Over the past several months, Guidebook won numerous awards for its innovation and leadership. It’s amazing to see and also very humbling to be nominated alongside companies including Google and others whose impact is unquestioned in the industry. It’s not just Guidebook that’s winning — our customers also gained recognition for their leading-edge mobile apps in service of their students, employees and other audiences. Here are some highlights. One of the areas where Guidebook’s gaining adoption is in human resources. Organizations adopt Guidebook for employee communication, feedback and as part of their executive and talent development programs. One of the most prolific adopters of Guidebook’s mobile app platform for talent development is CA Tech, a global software leader with more than 10,000 employees. The company won both an ATD BEST Award from the Association of Talent Development and a 2017 LEAD Award from HR.com for the Best use of Mobile Technology in their Leadership Development Program. Those awards are not contained to just the corporate world. In the sphere of higher education, Guidebook provides real utility. And as part of its 50th year celebration, the Association of MBAs hosted a contest to recognize top students, entrepreneurs, employers and innovative technologies. The MBA Innovation Award showcases innovation and radical thinking in MBA programs and rewards brilliant new practices. It promotes the values of taking risks in pursuit of the new, according to the organization. As part of the award program, the Saïd Business School, University of Oxford was commended for their use of Guidebook. The school uses Guidebook to provide their students with a comprehensive mobile toolset with a complete directory of classmates, faculty and staff; detailed campus maps; and notifications to keep everyone up to date. Eight out of the top 10 colleges in the United States use Guidebook. So do 80% out of the top 50 universities. They choose Guidebook because of the platform’s ease of use, its ability to reach students via the way they want to be reached — via the mobile phone — and its potential impact on the entire student lifecycle from discovery through graduation. But that wasn’t all. 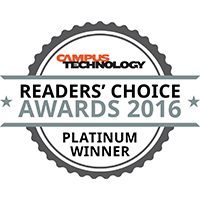 Campus Technology readers also selected Guidebook as one of the Top 10 Favorite Technologies for the year. Readers were asked to share their three favorite technologies. Campus Technology editors added those up, and figured out which ones garnered the largest number of votes. Guidebook was number four on the list just behind the iPad and ahead of products from Blackboard, Smart and Google. Wow! 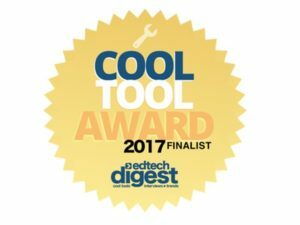 Another top publication in the higher education market — EdTech Digest — also recognized Guidebook recently as part of their annual Cool Tool Awards. According to the magazine “In honoring cool tools in education, we do so with a sense of excitement, but also a sense of responsibility. Dream-to-reality makers are awesome to behold. But the stakes are high because these honorees are shaping our future.” Guidebook was identified as one of the best mobile apps in post-secondary education. Guidebook counts numerous Fortune 500 companies and some of the most admired brands in the world as its customers. One of the places these organizations use Guidebook is for corporate events, meetings, conferences, tradeshows and more. The Corporate Event Marketing Association (CEMA) counts many of those same companies as members. Every year, they convene to discuss industry advances and evaluate event technologies. As part of their last Innovation Shootout, Guidebook was selected as the top event app company. At the recent ExhibitorLive tradeshow, Guidebook was selected as an Innovator in the event industry. 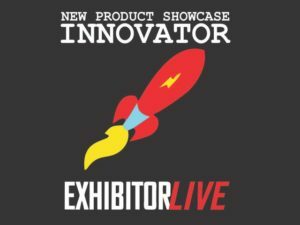 This annual conference, focused on emerging trends and technology, brings together thousands of event professionals for five days of learning, networking and product evaluation. All new products were reviewed by an independent panel of judges during the show. The EN Awards launched in 2007 to recognize success and achievement in the international event industry. The award is presented by Event News Magazine and that organization selected Guidebook’s Interact feature as a finalist for Event Tech of the Year. Guidebook takes support seriously. Our response times to a support ticket is about eight minutes vs. an industry average of 22.5 hours. For chat, we reply in just 22 seconds on average. And our net promoter score is 58, more than three times the industry average. 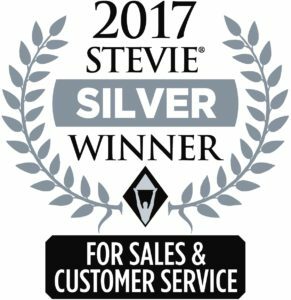 Since 2014, we’ve received 10 Stevie Awards recognizing our customer service approach. In the last year alone we won three of these prestigious business awards: a Silver Stevie for the Customer Service Practice of the Year; another Silver Stevie for the Customer Service Department of the Year; and a Bronze Stevie for the Best Use of Technology in Customer Service. To everyone that participated in these awards, voted and used Guidebook in the past year, a heartfelt thank you. The feedback these awards represent help validate our development efforts and inspire us to aim even higher.